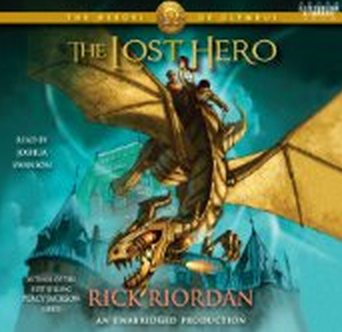 "The book that got me addicted"
Where does The Heroes of Olympus, Book One: The Lost Hero rank among all the audiobooks you’ve listened to so far? It's one of the best mystery/fantasy books I've listened to this year. Jason but I came to love his girl friend as well. Do you love series? If so, this book will get you caught- hook, line and sinker. I couldn't stop until I'd devoured every ounce of this series and the next. Get ready for 10 books that will keep you wanting more.